A fire razed Yarmouk Hospital in the Iraqi capital of Baghdad on Tuesday night. The horrible incident caught the attention of the world media. The casualties were twelve newborn babies some of whom had been born prematurely. The official report gave the cause of the fire as an electrical fault. The fire quickly spread through the hospital. 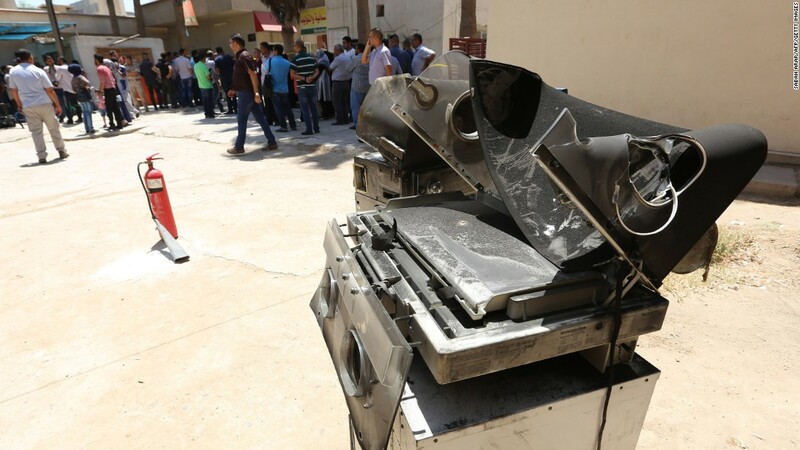 The director of the hospital, Saad Hatem Ahmed, in a press address, confirmed the deaths. He also gave news of 29 women and eight infants rescued and transferred to other hospitals in the capital. Some of the women rescued were waiting to undergo caesarean section delivery while others were recuperating after delivering. The fire started in the maternity wing of the hospital and quickly engulfed the whole of the nursery where the babies were sleeping. The nursery was under lock and attempts to access the room were futile as none of the staff could find the keys. The Baghdad fire brigade took over an hour to arrive at the scene, and not much from the inferno was salvageable. Parents of the deceased infants were enraged as they could not get assistance as to the whereabouts of their children. They spent the better part of Wednesday searching through the rumble. One man, Hussein Omar, 30, who spoke to the media, told how he frantically searched for his twins in the hospital to no avail. He later checked the morgue only to find charred bodies and could hardly identify one child from another. A woman, Shaima Hassan, gave birth to a healthy baby boy two days earlier. Filled with rage and tears in her eyes, she told the media how she had tried to conceive for over a year in Iraq and abroad, and now her son lay scorched beyond recognition. Construction standards are substandard with major emergency installations lacking, like fire escapes and sufficient firefighting equipment. Fires caused by electric faults have been a major problem due to shoddy installation and maintenance of electrical wiring. The price of oil dropping and the emergence of the Islamic State terror group have caused funding to hospitals and other institutions to be cut back to concentrate on the fight against terror.